Hand Made Mexican Tiles suitable for bathrooms and kitchens walls. Handmade Mexican Tiles. Milagros offers the most affordable genuinely handmade Mexican tiles available in the UK. Prices start at 65p per Mexican tile / £58.50 per square meter. 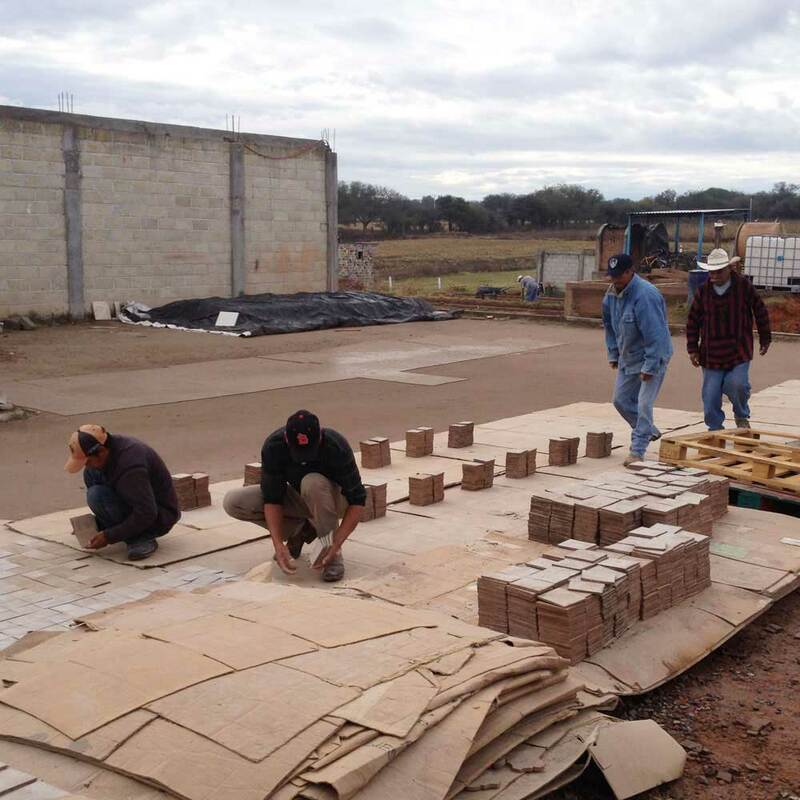 Our prices are competitive because we buy the Mexican tiles directly from the makers and import them ourselves. 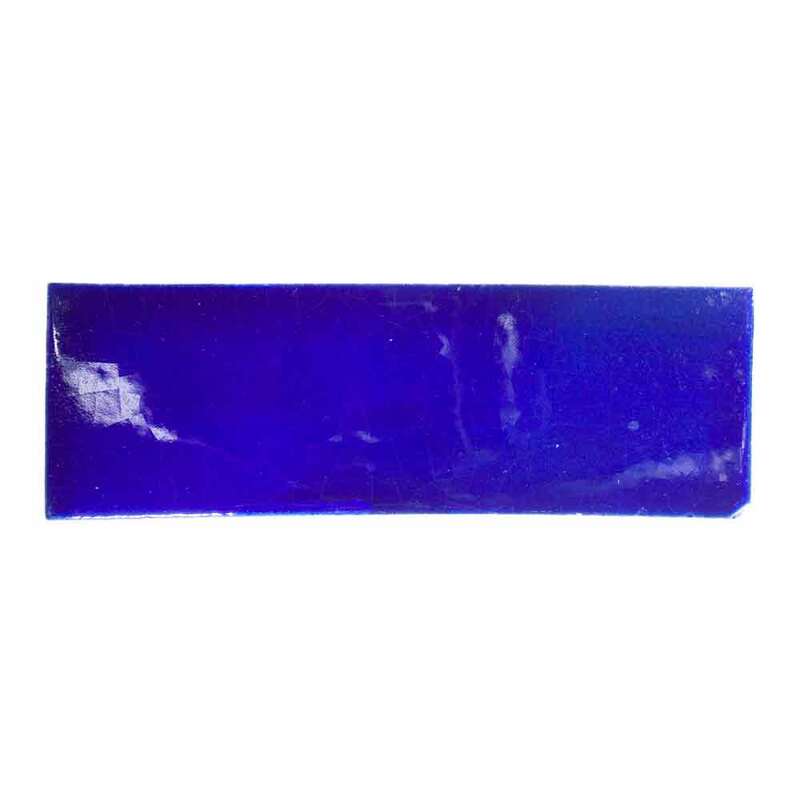 Whilst similar to Moroccan, Spanish and French handmade tiles, they offer the same quality at more affordable prices. 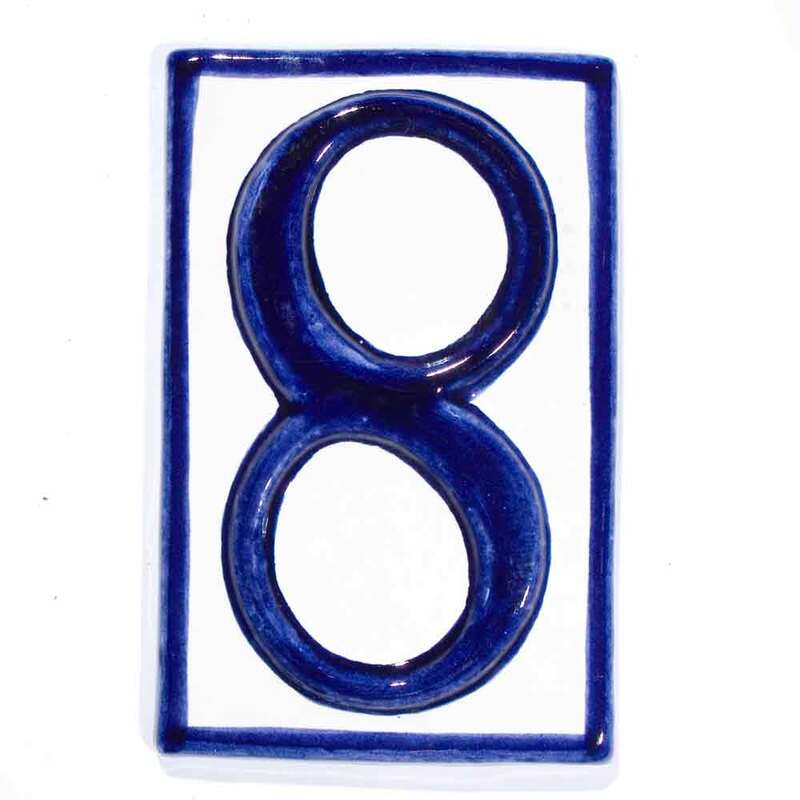 38 inset tiles – 5 x 5cm. We hold the broadest range of handmade Mexican tiles in the UK. Our tiles have featured in House and Garden (March 2015) and Elle Decorations (April 2015). Milagros’s handmade Mexican tiles are of the highest quality, preferred by architects and designers. They have been used in restaurants throughout the UK, Europe, Middle East and Russia. (Please see the list opposite for recent commissions). Samples are sent out for the price of the tile plus £1.50 postage and packaging per tile. We also send out swatch tiles samples (5cm x 5cm). There maybe small variations in colour in the swatch tiles. Please click on the individual tiles to buy samples. Delivery is £9 per 100 tiles or part 100 tiles. 400-1600 delivery is approximately £36 per pallet. These delivery prices are consistent throughout the UK mainland except for Northern Ireland, Highlands and Islands and remoter parts of UK. We deliver to Northern Ireland, Republic of Ireland, countries in Europe and all over the world. The website will quote for Europe but outside of Europe please call for a quote. If unsure please call. 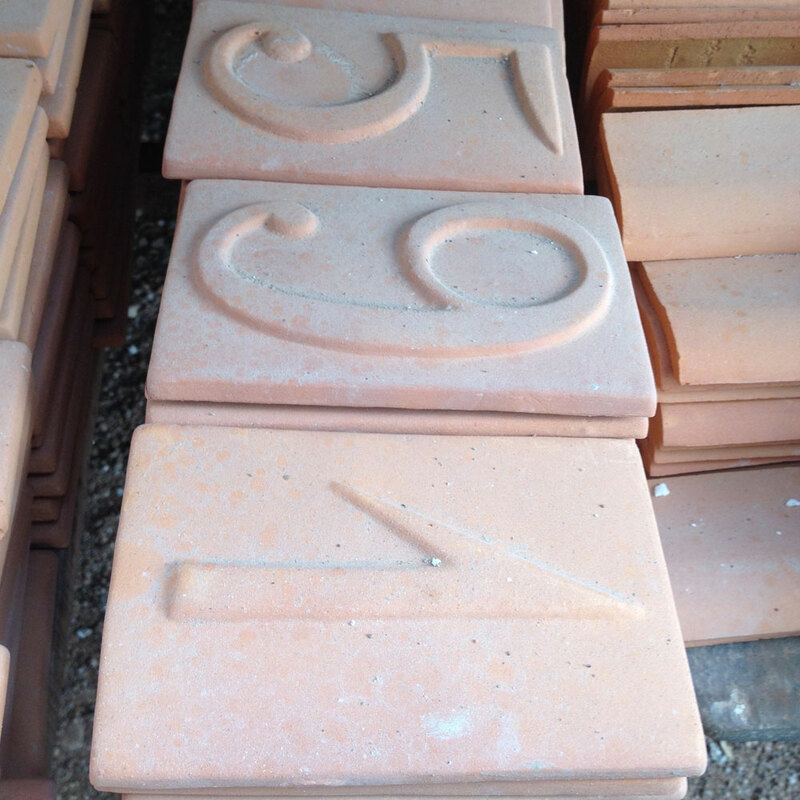 We have a shop in London and a warehouse in Bristol and tiles can be collected from either. Hand Made Tiles for Milagros by Winnie Herbstein. If you are looking for ideas and inspiration for handmade Mexican tiles, please visit our Facebook gallery. Prepare the surface you are going to tile onto so it is sound and flat. Plan the layout of your handmade Mexican tiles and decide on a starting point. Use adhesives appropriate to the surface you are tiling onto. Decide on the spacing of the Mexican tiles, usually between 3 to 5mm. Space tiles using spacers used at tile centres not corners. Apply adhesive to wall using a notched trowel. Add a blob of adhesive to the back of the tile. 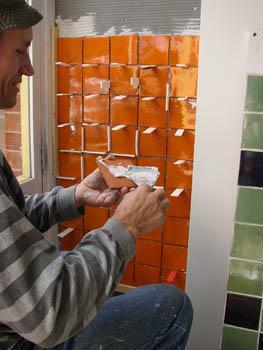 Put the tile onto the wall using sufficient pressure so that the ridges left by the notched trowel are flattened. 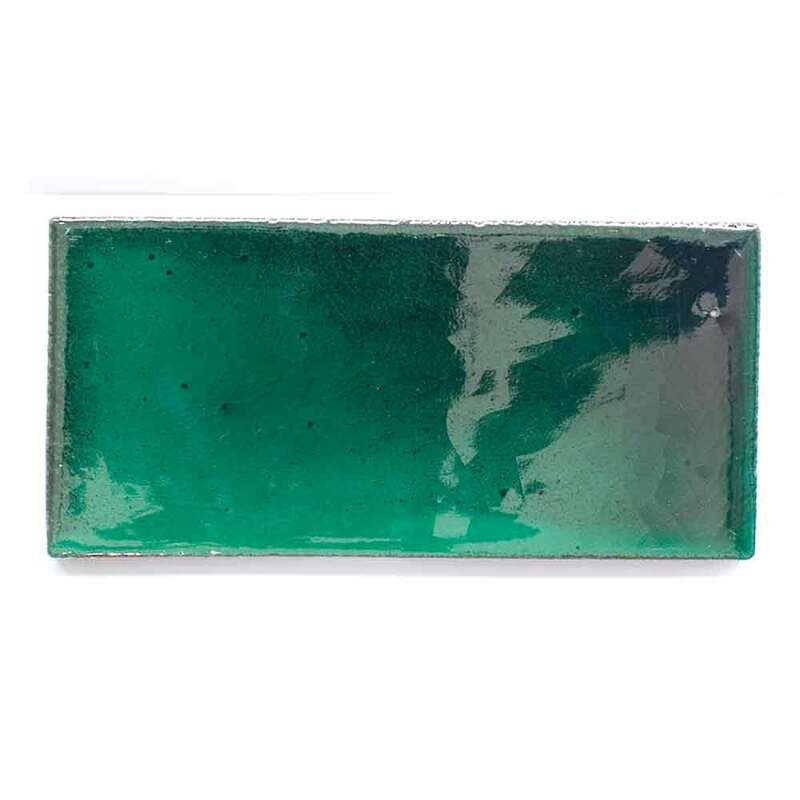 Mix grout to a creamy consistency and press into the joints using a rubber grout float. Sponge off excess grout before it fully sets. The tiles are rarely flat and may vary in thickness. Tilers should use their eye to make aesthetic judgements. Milagros is experienced tiling with handmade tiles. We will be glad to answer any of your questions. There are 90 Mexican tiles per square meter and we suggest that you allow 10% extra for wastage while tiling. We recommend purchasing a sample tile to give a clear indication of the tile’s appearance and colour before buying them in quantity. 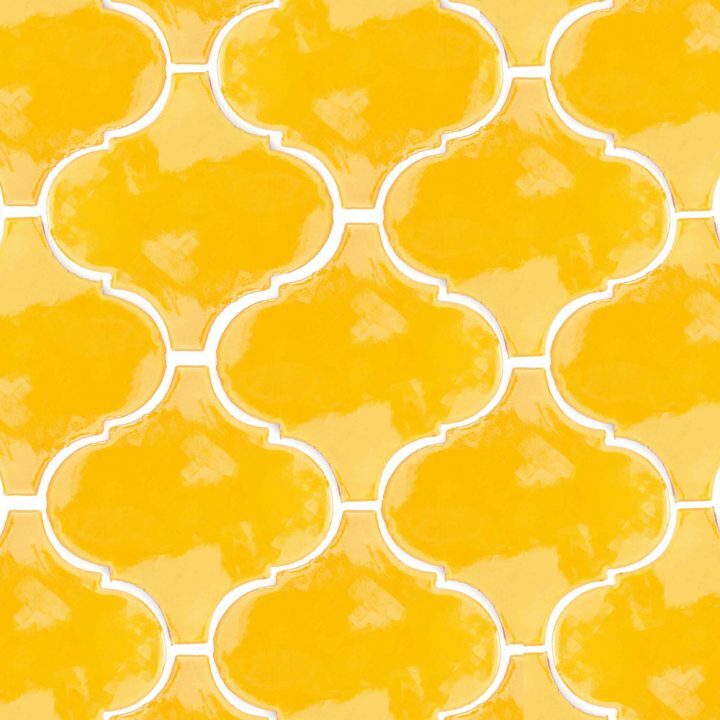 If you want a mix of Mexican tiles, the easiest way to work out the amounts of each colour is as a percentage – for example, 30% Mexican white and 70% mustard yellow will give you a predominance of mustard yellow. If you have a number of areas that need tiling, work out the square meter of each area and then add them together.To put the tiles up you will need tile grout and tile adhesive. We recommend wide joint grout which comes in five colours: grey, limestone, white, sandstone and black. Colours shown on the website and printed publicity are not meant to be definitive. Photography, computer screens and printing cannot reproduce colours exactly. The tiles are considered for indoor use only as they are not freeze-tolerant. These tiles are not recommended for kitchen worktops. Milagros tiles are suitable for bathrooms, kitchen and shower room walls when properly installed on a suitable substrate using an adhesive appropriate for the substrate. The handmade wall tiles are not suitable for floors. Periodically check the condition of your silicon joints and repair if cracks appear. It is generally the grout that fails before the tiles. The handmade tiles are vivid in colour and texture. There are thirty different colours and fifty eight decorative Mexican tiles. The background on the patterned tiles matches the plain ‘Mexican White’ tiles. The handmade Mexican tiles are suitable for bathrooms and kitchens.They bear the irregular mark of the human hand and have a character that is impossible to achieve with machine-made tiles. Because of this, their surfaces can be irregular, sometimes concave and sometimes convex. This gives for a unique pillow effect when installed. Whilst similar to Moroccan, Spanish and French handmade tiles, Mexican tiles offer the same quality at more affordable prices. Working with architects and designers, we have commissioned and designed handmade tiles to a specification. Recent commissions are listed below. 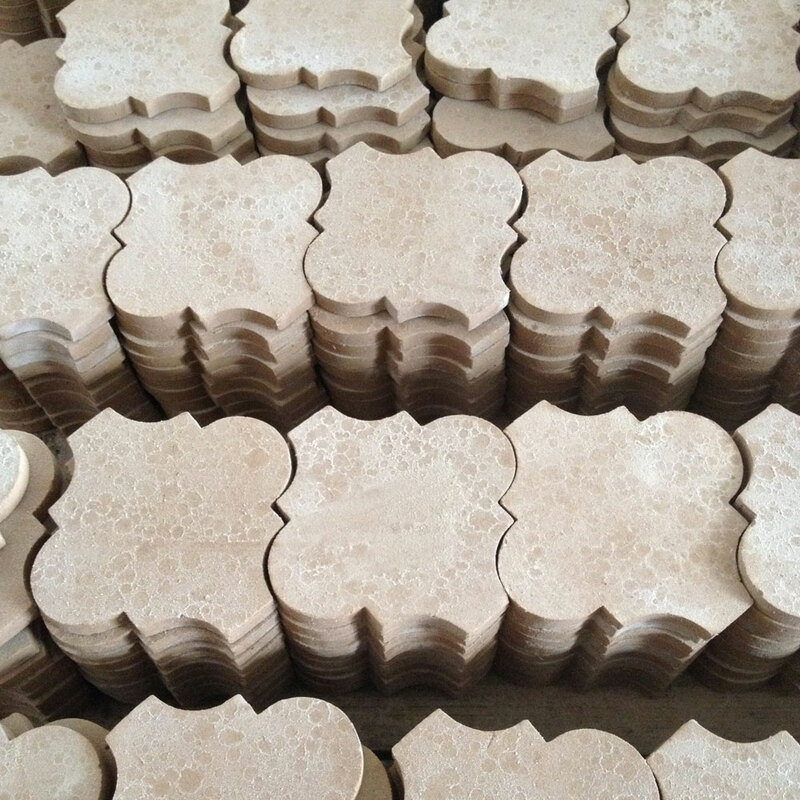 If you are interesting in commissioning handmade tiles or any other Mexican product, please look at the commissioning page or call us for more information. The Mexican handmade glazed terracotta wall tiles which we import are made in a family-run workshop in the state Guanajuato. 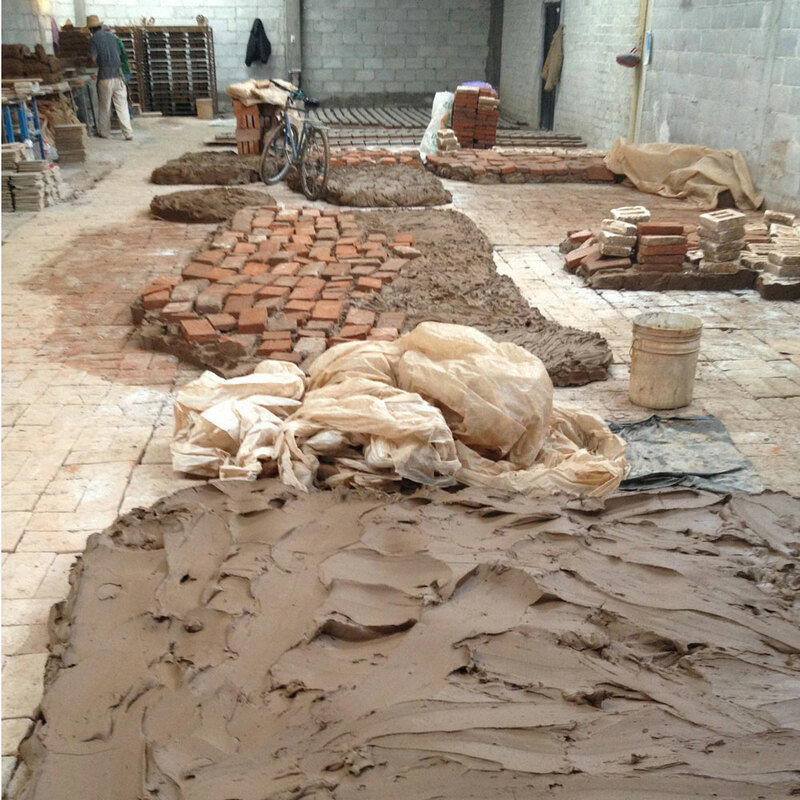 The whole process – from digging the clay to firing and decorating the tiles – is carried out by the workshops. The handmade tiles are made using a mixture of three different types of clay and an ingredient that adds flexibility to the mixture. The clay is rolled out and cut by hand, then fired in a kiln, resulting in an unglazed ‘biscuit’. These are then glazed and fired again. Variations in colour and size result from the position of the tiles in the kiln, the duration of firing, and the composition of the clay. Dolores Hidalgo is famous for its pottery and tile-making – subsequently there are many workshops and factories for making tiles. 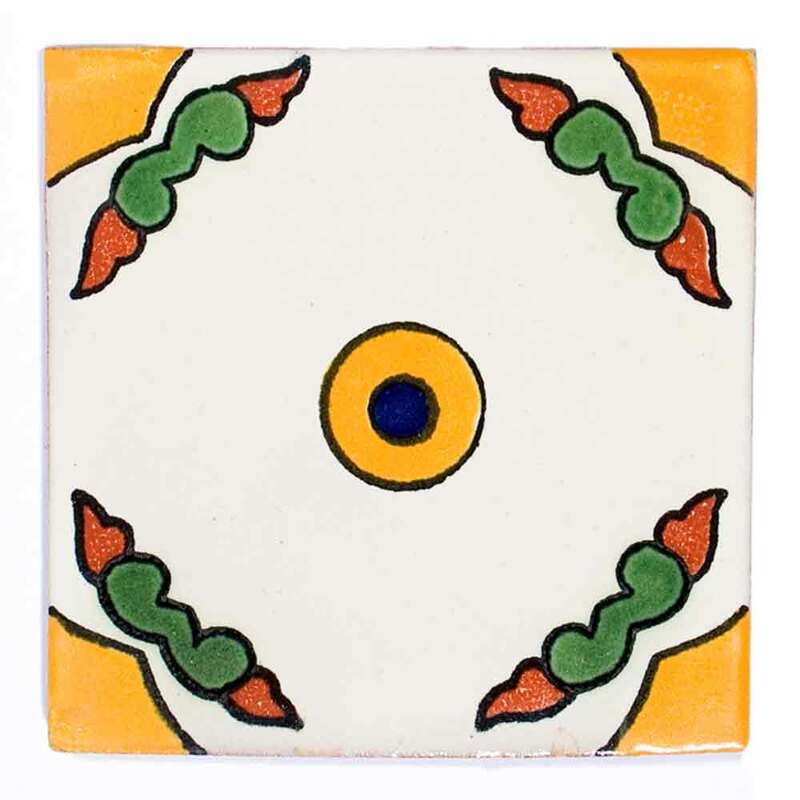 The predominant style is a form of Talvera (the Mexican name for Maiolica). A distinguishing feature of this technique is the decoration over the glaze. Mexico has a long history of making handmade tiles. The techniques were introduced to Mexico by the Spanish over 500 years ago, but the history of tiles goes back further: they were first used decoratively in 400 BC in Egypt. In Mesopotamia there was little stone but clay was abundant: the use of clay for writing and for decoration was encouraged. The technology for creating clay tiles was passed to The Persians, and then to the Arabs, who brought it to Spain. The technology then moved through Europe and then to the New World. Dominican Friars eager to tile their monasteries brought Spanish ceramicists to the New World, and taught the indigenous people how to make tiles. Three hubs for making tiles were established: Puebla, Mexico City and Dolores Hidalgo. Our Mexican tiles are made in Dolores Hidalgo. Surface irregularities can occur these are normal and should be used as part of the tiling process. Crazing and crackling of the glaze are inherent characteristics of hand-crafted tiles. 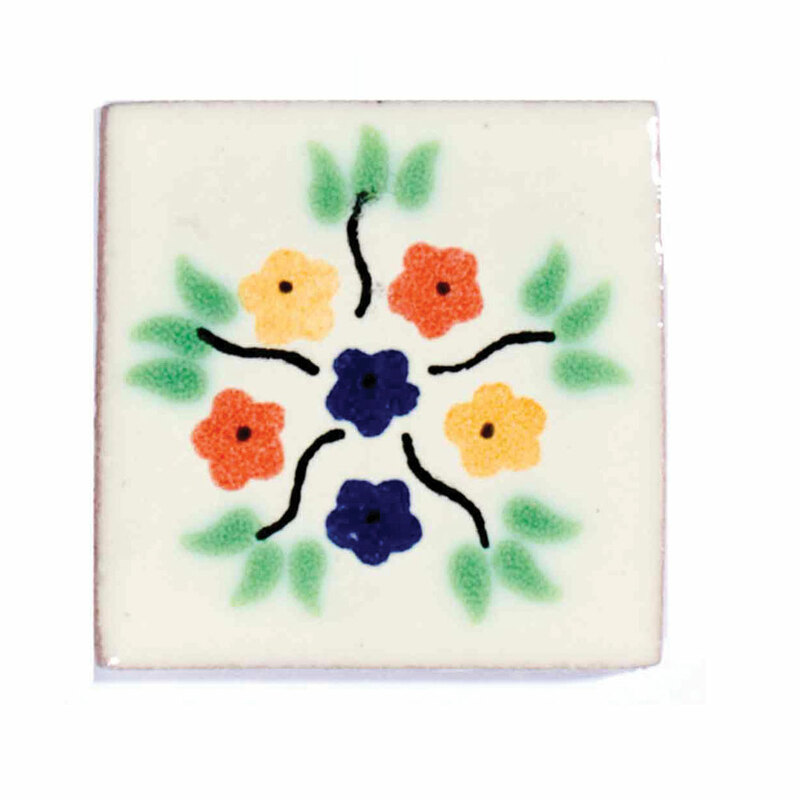 As with all tiles, handmade Mexican tiles can chip, nick or scratch. Tile edges may have slight chips. These should be used where cut tiles are required and the damaged edges can be removed. The handmade Mexican tiles are rarely flat and may vary in thickness. Installers should use their eye to make aesthetic judgements and ideally be familiar with laying handmade tiles. Wide joint grout is recommended as an average grout gap in excess of 3mm is normal. Our preference is for Ardex or Mapei grout and adhesive. We recommend not setting a firm date for a tiler until your tiles have arrived and been checked. Always check the tiles are correct on delivery and undamaged. Do not leave this until the tiler is on site. We do not advise sealing of our glazed tiles, although this can be done. Use a tiler who has experience of laying handmade tiles. You may wish to confirm the layout of the tiles and the size of the grout gap. The tiles are not completely flat and account must be taken of this when setting them on the adhesive in order to give them a firm bed. Milagros are experienced in laying Mexican tiles and we are happy to provide advice and technical support. We will replace goods if they arrive damaged. We may ask for photographic evidence if we need to notify the courier company. We ask that you inform us within 5 days. Refunds are given if the tiles are returned in person to the shop or warehouse or arrive back with us undamaged within 14 days of delivery. After 14 days a 20% re-stocking fee is charged if the tiles are returned 14 days after the delivery day of the tiles. We will accept part boxes but at a 50% restocking fee. After 90 days a 50% restocking fee will be charged. Delivery charges are non-refundable except for where the tiles are damaged. Refunds cannot be given once the tiles have been fixed onto the wall. Hand made tiles coloured and decorative tiles. Hand made tiles decorative and coloured tiles.
. Harlequin lime green hand made tiles. Brick metro 7 x 12cm hand made tiles. Union Jacks, Covent Garden London. Brick pattern hand made mexican white wall tiles. Hand made wahaca lime green and mustard wall tiles. Decorative and coloured hand made tiles. Hand made metro/ brick shaped tiles. Hand made tiles lace blue and yellow and lime green. Lace blue and yellow hand made tiles.